President Obama's comments on the Trayvon Martin death have not gone over well with conservatives, according to the Daily News. Numerous Republican pundits and politicians have blasted the president, with some going so far as to call him a "race-baiter." Former House Speaker Newt Gingrich called the president's comments "disgraceful." "It's not a question of who that young man looked like. Any young American of any ethnic background should be safe, period," Gingrich said during a radio interview with Sean Hannity. "Is the president suggesting that if it had been a white who had been shot, that would be OK because it didn't look like him? 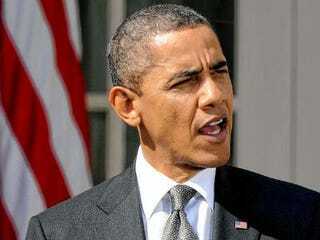 That's just nonsense dividing this country up … Trying to turn it into a racial issue is fundamentally wrong," he added. Obama spoke about the death on Friday, saying that if he had a son, he would look like Martin. He also said that Martin's parents "are right to expect that all of us as Americans are going to take this with the seriousness it deserves," adding, "We're going to get to the bottom of exactly what happened." Conservative columnist Michelle Malkin said in her blog that Obama was all too willing "to pour gas on the fire," and Rick Moran, writing for the American Thinker, said no one, including the president, really knows what happened that night. "Obama leaves no doubt that he has taken sides on the issue — something a president should only do when the facts are clear and incontrovertible," he said.